Brazil: the name itself conjures images of astounding beauty. As Latin America’s largest country, not only is the terrain diverse — jungles, beaches and mountains — but the cities, too. Usually, those who have not ventured to the Portuguese-speaking country, tend to think of São Paulo, the booming metropolis, or Rio de Janeiro, with its favelas set in the hills overlooking Copacabana beach and made famous from the movie City of God. However, especially in mainstream media, we barely get to hear or read about one’s experience in the northern cities, more specifically Salvador. Luckily, The Independent recently took an in-depth look at the country’s first capital city. Salvador carries a rich history as its past is based on the pursuit of riches. 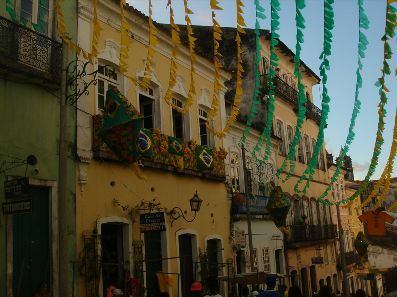 As the article points out, the city and the surrounding cities — all a part of the state of Bahia — were the main points of Brazil’s trade in tobacco, sugar and slaves. Salvador boasts a church that epitomizes this epoch of decadence (and exploitation) with the Sao Francisco that is lined with 800kg of gold. After reading the rich descriptions of the sights and people that I can’t do justice by trying to summarize, believe me, you will change your 2014 Brazilian itinerary to include Salvador.